FOR THE LAST year they’ve called Meghan Markle everything but a child of God, on this side of the Atlantic and the other, but now they can call her the Duchess of Sussex. With the nuptials of Markle and Prince Harry on May 19 — with all the pomp and circumstance we in the States are inured to, if not exactly used to — life and society change, however slightly, in the island nation whose racial equation has long relied on the habits of history, tradition and family lineage to have weight over the past xteen-umpty-hundred years. More than just a marriage, their union points to the power of symbolism in the service of substance — indeed, it shows how, in a world tearing itself apart with racial and ethnic divisions, symbolism is very much its own substance. Symbolism didn’t take the day off — couldn’t have possibly done so. It was there front row center when Bishop Michael Bruce Curry, the first black leader of the Episcopal Church, borrowed from the homiletic themes of Rev. Martin Luther King Jr., even as he made the royal wedding sermon his very own. “There's power in love. Don't underestimate it. Don't even over-sentimentalize it. There's power, power in love. If you don't believe me, think about a time when you first fell in love. The whole world seemed to center around you and your beloved. 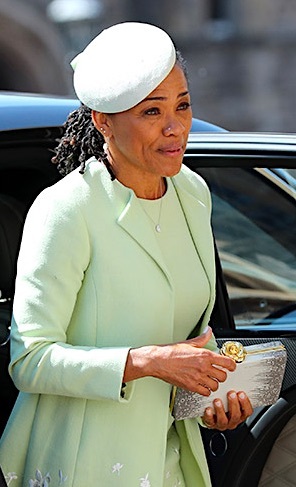 And there was symbolism in the quiet, electric dignity of Doria Ragland, Meghan’s mother, who sat next to Queen Elizabeth and symbolized generations, legions of black women for whom such a moment — its seeming impossibility given history’s enormous weight — might as well have been a barefoot jaunt on the surface of the moon. THE transcontinental reverberations were underway a long time before the ceremony at St. George’s Chapel in Windsor on Saturday last. At the end of last year, some in the UK went out of their way to indulge in a kind of passive-aggressive damnation with strange praise. We can thank our cousins across the water for the exoticization of Markle as she rode a storybook carriage en route to the real one. In December, the London Zoo rushed to board the Meghanmania Express, deciding to name its latest animal resident after the soon-to-be Duchess. 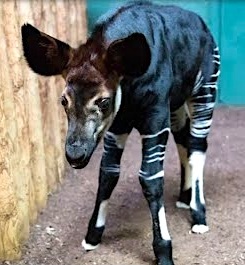 The okapi named Meghan is a short-necked, ungainly critter, part of the giraffe family. The zoo’s new addition, officials said, was so named as a way to bring public attention to the plight of the okapi, an endangered species of which there are said to be only 25,000 in the wild. While that was perfectly defensible from the perspective of defenders of animal rights and (more generally) the welfare of the environment, it’s still a push to share your name with such an exotic animal whose black and white stripes couldn’t be more clumsily appropriated in the current context. Context is everything, it’s often said, and that behind the okapi named Meghan is goofily benign. Give the London Zoo an A-minus for effort, and a C for timing. Less easily massaged into relative insignificance is the other thing that happened in December. 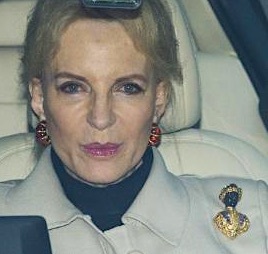 Princess Michael of Kent, a royal with a history of being uh racially provocative, apologized for wearing a blackamoor brooch, widely seen as racially insensitive, to the Queen’s Lunch, which was attended by Markle, in one of her first appearances since she and Harry announced their engagement. Princess Michael, who is married to the Queen’s first cousin, has pulled this crap in the past. And last month, three weeks before the wedding, news surfaced that Princess Pushy once owned two black sheep she reportedly named Venus and Serena. Way to stay classy. And then there was the comment by the moronic Rachel Johnson, a journalist (and ergo, someone who shoulda known better) who wrote in The Mail on Sunday that Markle would bring “a rich and exotic DNA” to the royal line. 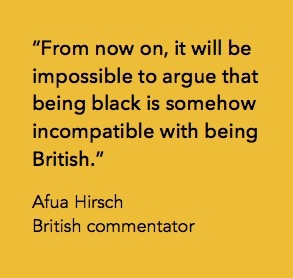 Hirsch would prove to be half right: The marriage may have changed Britain’s relationship; time will tell how it changes the UK’s relationship with racism. Rachel Johnson and Princess Michael would seem to indicate that may not change at all. It’s an attitude that sheer population size makes it easy to get away with. Only 3 percent of the population in England and Wales self-identified as Black British, Black African or Caribbean, according to data from the 2011 census. Only 2 percent of respondents identified themselves as of mixed ethnicity. “When we start unravelling everyday racism then we can talk about race relations moving forward,” said Paula Akpan, founder of Black Girl Festival, to NBC News. “People are ignoring that there is still so much work to be done." STILL, IT WAS a milestone moment some could see coming well before it happened. “This is a marker in 21st-century history,” said Nell Irvin Painter, history professor emeritus at Princeton and author of “The History of White People.” “This could not have happened in a previous generation, in a late-20th-century generation,” she told The Guardian, in December. In some ways, we shouldn’t be surprised this has happened. When you consider how British acting royalty and the makers of American movies have been tying up for decades, or how the music of the British invasion didn’t gain critical mass until it reached American shores, it’s clear that the marriage on May 19 was the culmination of a transcontinental affinity that’s been playing out for a long, long time – with each party bringing something unique to the table. And that’s not going to change. Much has been made in the previous months of how Markle would have to change her ways, subdue her irrepressible Americanness in order to become a part of the royal family. Which may not happen, and really shouldn’t happen at all. Aspects of her personality dovetail with her nationality — period (or as the Brits say, full stop). Trying to change that, to alter or subdue the effervescence of her American DNA, deserves to be a fool’s errand; the Crown might as well try to turn an SUV into a cocker spaniel. 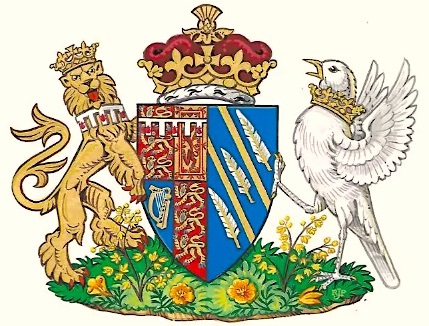 That was made clear on May 26, when it was announced that Meghan, er, the Duchess has a new coat of arms that acknowledges her California roots. The blue in the shield represents the Pacific Ocean, while the flowers spread along the bottom are golden poppies, the California state flower. The Queen approved the coat of arms, which the Duchess had a hand in designing. 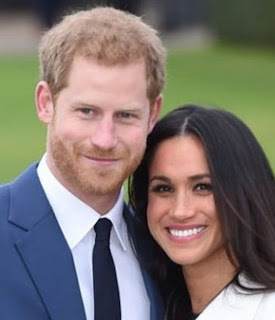 Similarly, and just as important, aspects of her confidently biracial identity won’t be smothered by hidebound, monochromatic British tradition. Bet the ranch (or the castle): Meghan and Harry wouldn’t have it any other way. In the short term, at least, Meghan Markle has colonized the imagination of the British public, by accident genially repaying the once-empire whose own colonial exploits have been a lot more troublesome. Among other things, this marriage will be a test of American and British resolve that both nations go on being much of what they’ve been to each other for centuries: best friend, geopolitical ally, and most reliable cultural trading partner. The U.S. and the U.K. both have a dubious history vis-à-vis race and discrimination — history that's very much a current affair. What love has brought together may, just may, start to undo some of that ugliness we regrettably have in common. Image credits: Prince Harry and Meghan Markle: Max Mumby/Indigo/Getty Images. Ragland: Hellomagazine.com. Okapi: EBL News/You Tube. Princess Michael: Getty Images. 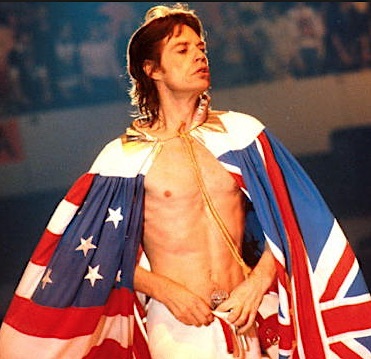 Jagger's flags: via Pinterest. Coat of Arms: Kensington Palace.